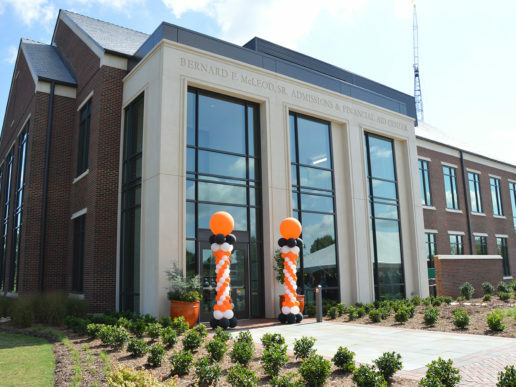 ATLANTA – Campbell University’s Campbell Magazine was named the top university publication and most-improved university publication in its division at the 2013 CASE District III awards ceremony Tuesday night. They were among the five total awards received by the communications department at the annual conference hosted by the Council for Advancement and Support of Education. 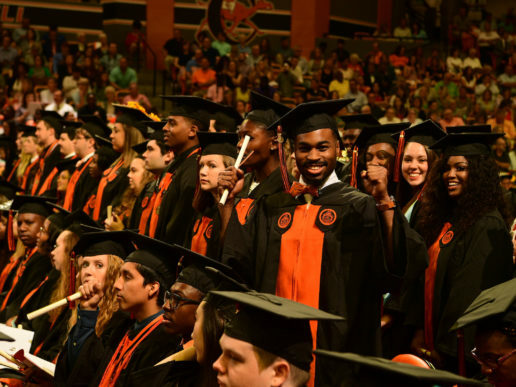 In addition to the magazine’s two grand awards, the University’s 125th anniversary book received an award of excellence, and merit awards went to Campbell’s 2012 Annual Report and campbell.edu’s “Alumni Memories” page. District III covers colleges, universities and private K-12 schools in North Carolina, South Carolina, Virginia, Georgia, Florida, Tennessee, Kentucky, Alabama and Mississippi. Campbell Magazine’s Fall 2011, Spring 2012 and Summer 2012 editions were entered for judging in the “Magazine II” division (schools with enrollments between 5,000 and 15,000) in this year’s contest. The magazine’s cover stories featured the University’s physician assistant program, a Campbell professor whose family tree goes back to the school’s founding and the story of a pharmacy student who excelled in the classroom despite a devastating family tragedy. The publications are edited by Billy Liggett, assistant director for publications, and designed by senior graphic designer Jonathan Bronsink. 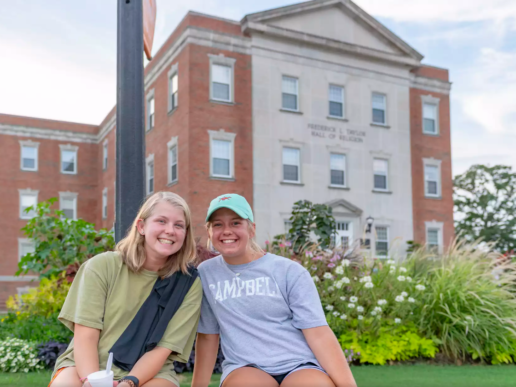 The 125th anniversary book, “Campbell University: 125 Years of Faith, Learning and Service,” was a hardcover coffee table book published in 2012 that highlighted the eras of Campbell’s four presidents over the past 125 years. Rich in history and eye-catching photographs, the book was written by Campbell history professor Lloyd Johnson, edited by communications director Haven Hottel and designed by Jonathan Bronsink. The University’s 125 Years of Shared Memories website feature won a merit award for online innovation. Conceptualized and created by web designer and administrator Bob Dry, the website gathered 125 memories and photographs from Campbell alumni and featured those memories on a bulletin board that could be easily navigated by visitors to the site. The 2012 University Report, another merit award winner, highlighted the 2011-2012 academic year with the theme “We Are Campbell.” The publication, which also featured the progress of Campbell’s School of Osteopathic Medicine, was the work of Billy Liggett, Jonathan Bronsink, Haven Hottel and digital content coordinator Cherry Crayton.